The Freud Diablo D1296L 12 in. 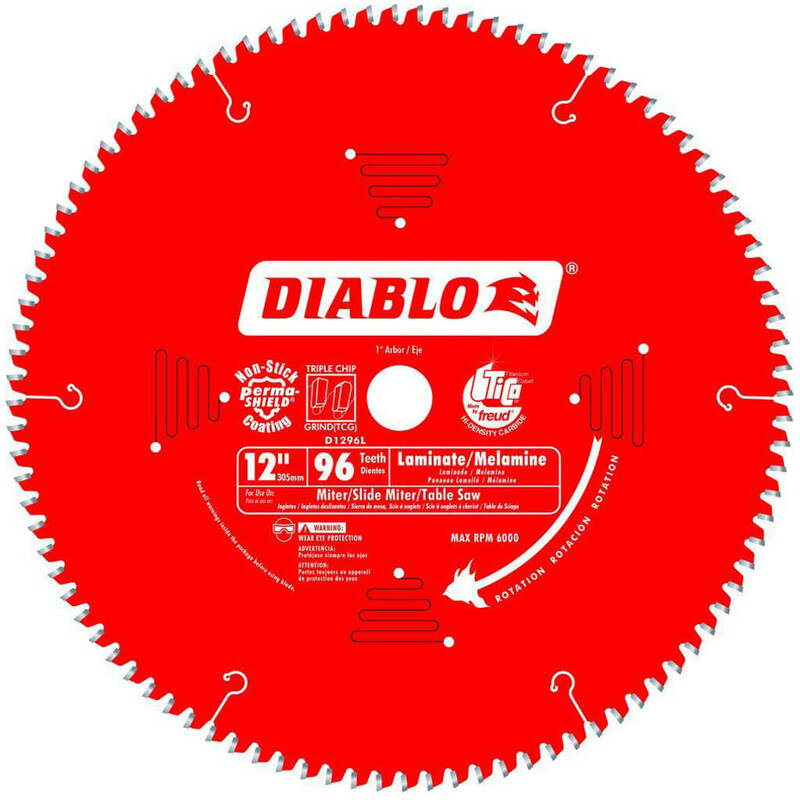 x 96-Tooth Laminate/Melamine/Laminate Flooring Saw Blade features a thin kerf triple chip design that is specially designed to cut laminate flooring; double-sided laminates and melamine cleanly; leaving a smooth finish with no chipping or tear-out. 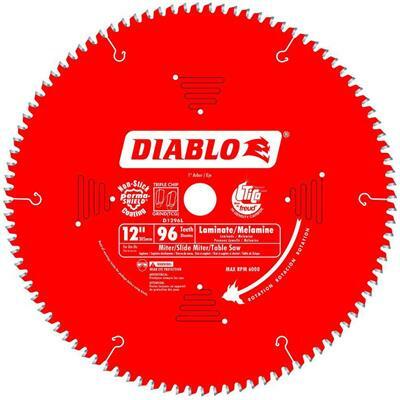 Laminated materials are highly abrasive; so these blades feature a TiCo carbide blend ideally suited to harsh service. Note: laminate flooring should only be cut with a sliding miter saw or table saw (never with a chop style saw).